When we purchased this, it really did not require any special restoration. I touched up the cabinet and cleaned it but other than that it is in great shape. 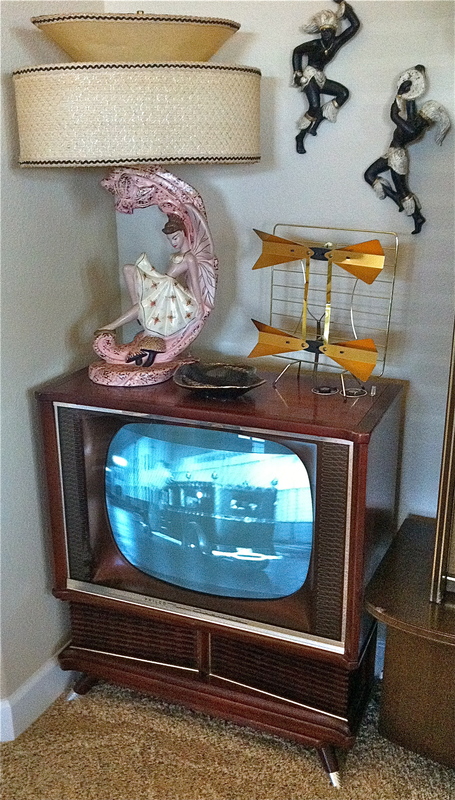 This Philco model was the first television model able to pivot side to side so you can turn the viewing direction . It has a really nice cabinet that had a lot of style. The great thing is that it works. 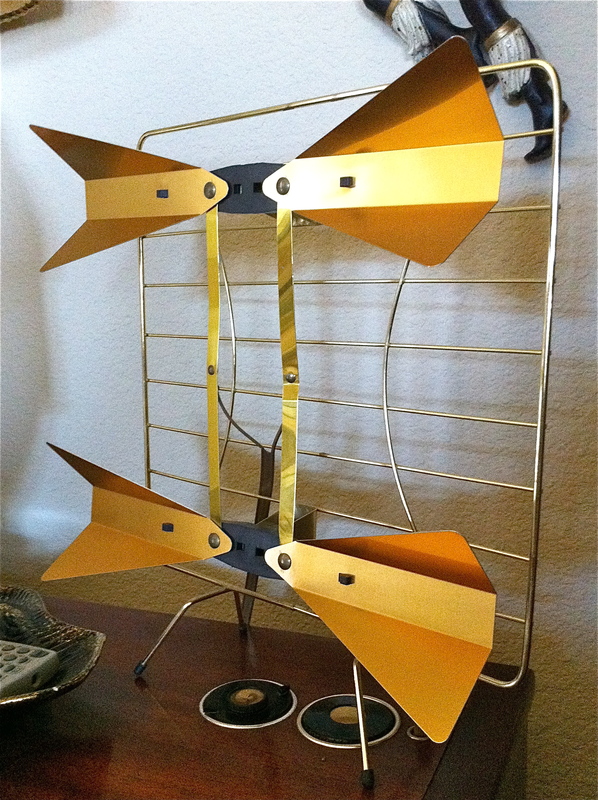 Of course the antenna is not an option anymore (just for looks), but I did connect a DVD player and it works great (Some like it hot is playing). I am sorry but the quality of what was made then compared to today is incomparable. 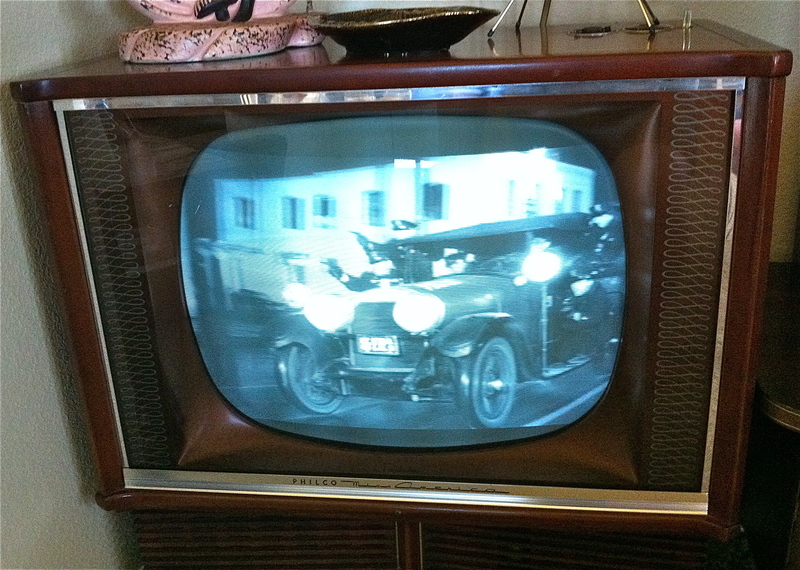 This television is over 60-70 years old and it works! Who ever owned it sure took great care of it. What Mel and I like to do is once a month we plan for a 50’s tv night, usually on a weekend. What we do is hang out in our ultra 50’s living room, put in a 50’s movie and just experience what it was like. 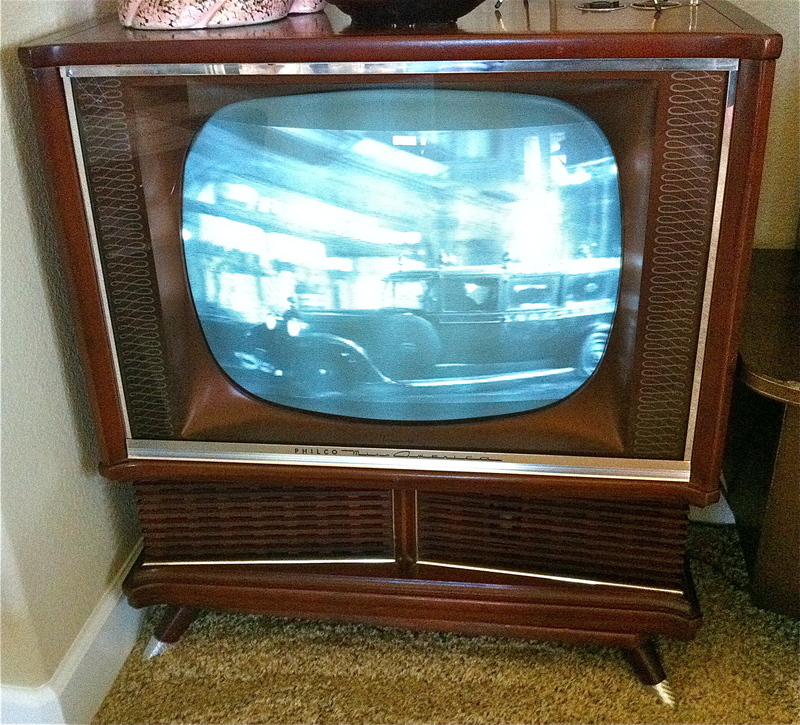 I can tell you there is something to the overall feel you get sitting there watching a classic movie on an original television from the period. We love it. This will be a cherished item in our house for a long time. The name just screams cool! 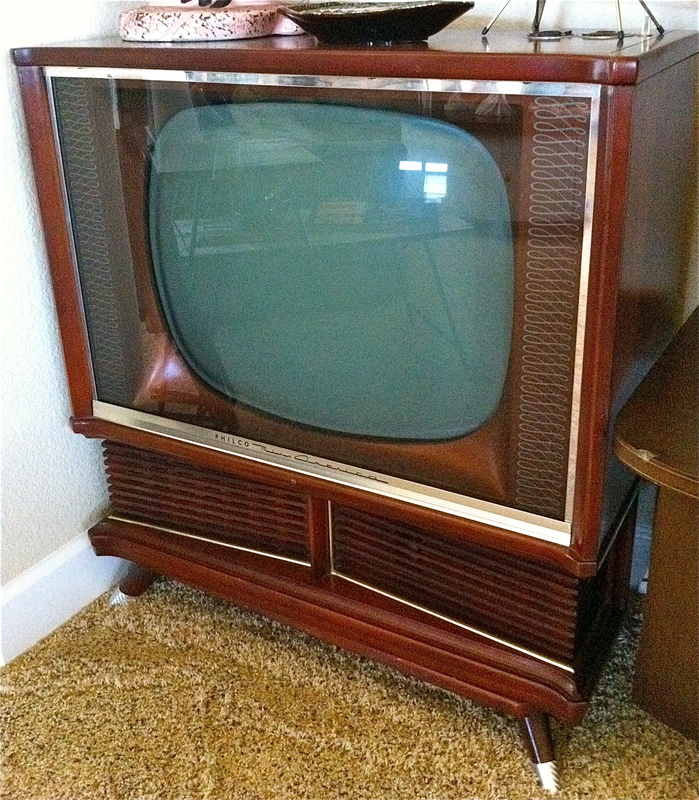 The television cabinet is in remarkable shape! Posted in The Makin's Of Our Pad and tagged 1950's tv, 50's television, 50's tv, Antique Television, Antique TV, Mid Century Miss America Television, Miss America Television, Miss America TV, Model F4626M Television, Model F4626M TV, Philco Model F4626M, Philco Television, Philco TV, Retro Miss America Television, retro television, retro tv, Vintage Miss America Television. Bookmark the permalink. I think I paid around $150. I hope this helps you gauge what you should pay.